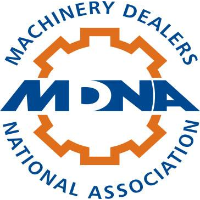 David Peterson Gives Presentation to MDNA on Millennials - Direct Recruiters Inc.
On September 20th, David Peterson, Managing Partner of Plastics and Flexible Packaging at DRI had the opportunity to give a presentation to Machinery Dealers National Association (MDNA) at their Cleveland Chapter Meeting! He spoke on a popular workplace topic: Millennials. David had already given a presentation about the generation everyone is buzzing about at the Plastics News Executive Forum in March. With a presentation entitled, “How to Attract and Retain a New Generation of Workers,” David provided information to the MDNA group about traits of Millennials, statistics, what they are looking for in the workplace, how to attract them to your company, and finally, how to accomplish the challenging task of retaining Millennial workers. Many professional associations are introducing programs to bring young professionals into their respective industries. MDNA for example, has a program called Young Guns, while Plastics Industry Association created FLiP: Future Leaders in Plastics, both to offer exposure and education for professionals entering into the industry. If you would like to contact David to learn more about his presentation, please contact him at 440-996-0590 or dpeterson@directrecruiters.com.